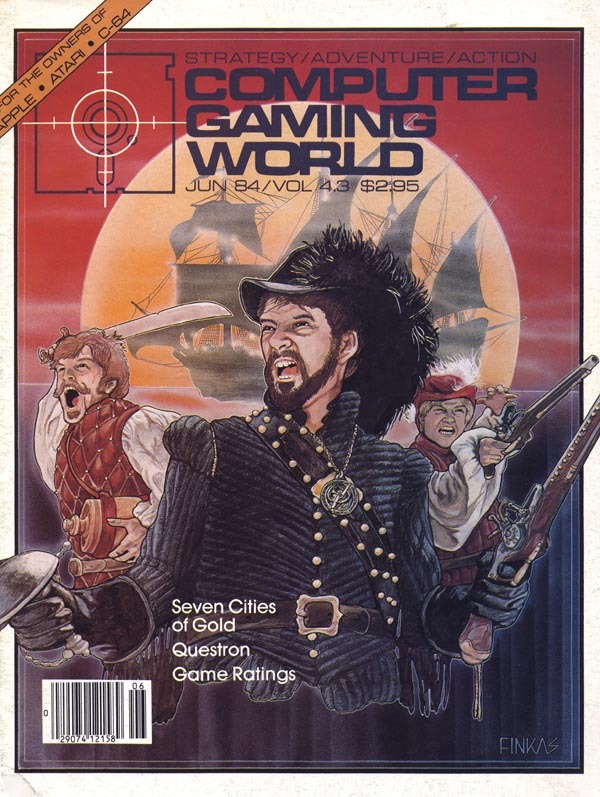 Computer Gaming World Comments and Highlights: The cover of 4.3 is another self-portrait of artist Tim Finkas. In this case, the cover goes well with the contents of the magazine, which featured articles on Seven Cities of Gold and Broadsides. Also included were reviews of Questron and Universe, and tips for Infocom�s Enchanter.